Party animal. The New England Patriots not-so-secret weapon. The NFL’s best tight end. 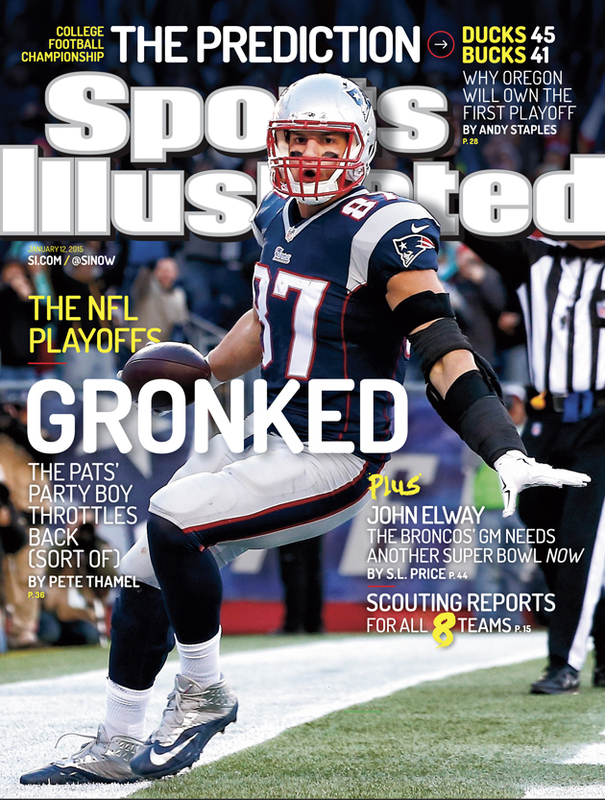 All of those apply to All-Pro Rob Gronkowski, who is featured on this week's regional cover of Sports Illustrated. No. 87 is just a few seasons removed from major knee surgery but is back with a vengeance and may be the key to New England getting back to the Super Bowl. Fellow All-Pro and teammate, cornerback Darrelle Revis, may have said it best when he stated, “We’re watching greatness. Tony Gonzalez. Antonio Gates. He’s in the same shoes with them. He’s a problem child out there." It didn’t matter what defenses did to try to stop him this season, Gronkowski still caught 82 passes for 1,124 yards and 12 touchdowns for New England, which became the first team in NFL history to earn a first-round bye in five straight seasons. The Patriots have only one Super Bowl appearance to show for all of that recent success. New England’s opponent in Saturday’s AFC Divisional Playoff, the Baltimore Ravens, is partly responsible for that. The Ravens beat the Patriots in the 2013 AFC Championship Game on their way to a winning a Super Bowl themselves. Baltimore also eliminated them in the 2009 Wild Card Playoffs. Also in this issue: features on Broncos Executive Vice President of Football Operations and NFL Hall of Famer John Elway, former college basketball coach George Raveling, Ohio State's All-American defensive lineman Joey Bosa and a preview of the College Football Playoff national championship game. Subscribers and newsstands in Maine, Vermont, New Hampshire, Massachusetts, Rhode Island and Connecticut will get this cover.